The cryptocurrency market has been largely bearish this year, with Bitcoin having fallen below $6,000 in June. 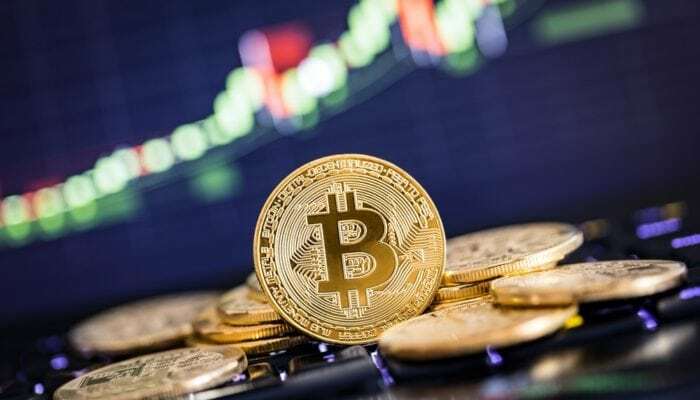 However, cryptocurrency experts who have been observing the market and considering factors other than just speculation, they feel that is a healthy correction of the market, and that the future of the market, driven by adoption, is bright. Willy Woo, the renowned cryptocurrency analyst, recently tweeted that the cryptocurrency market this year is stronger than it was at the same time in 2014. According to his tweet, there is a lot of buying going on behind the fear and capitulation in the market. His tweet was accompanied by a chart with OBV indicators comparing the price of Bitcoin between December 2017 to August 2018, and December 2013 to January 2015. The market capitalization of Bitcoin, from being $8 billion at around the same time in 2014, stands at over $108 billion now. Bitcoin, after having seen frenzied buying and touching a price point of nearly $20,000 in December 2017, saw its market capitalization growing to over $661 billion. The indicator for 2018 clearly shows that there is a lot less volatility in the price of the Bitcoin at this point of time. The relative stability of Bitcoin price in the market can be attributed to impending news which investors are eagerly awaiting. The US SEC, after its recent rejection of the Bitcoin ETF from Winklevoss brothers, is to announce its decision on nine ETFs in September. Besides that, many countries across the world are working on their own regulatory framework around cryptocurrencies and blockchain businesses. While countries such as Gibraltar, Malta, Estonia and Switzerland have already been attracting cryptocurrency and blockchain businesses. Others such as Thailand and Philippines have recently declared their blockchain-friendly status, and are inviting ICOs to operate in a regulated environment. India, which has put a banking ban on cryptocurrencies, is also going to declare its decision on the legal status of cryptocurrencies in the coming months. The uncertainty around the future of bitcoin and other cryptocurrencies might be preventing investors from putting all their eggs in one basket, that of cryptocurrencies. However, players are also not exiting the market and are holding on to their bitcoin investments. Another factor to consider in this situation is that many new entrants in the market have caught the attention of investors, big and small. Coinbase recently announced that it is considering adding other cryptocurrencies for storage as a part of its custodial services, which reveals that institutional investors are eyeing cryptocurrencies other than bitcoin. Ledger, the hardware wallet manufacturer also announced support for 8 new third-party applications as a part of its First Tuesday Crypto Initiative recently. While Bitcoin’s price movements might not look very encouraging to new investors at the moment, but there is a strong undercurrent of cryptocurrency adoption in the market right now, which is driving the development of the industry, as opposed to just speculation and trading.